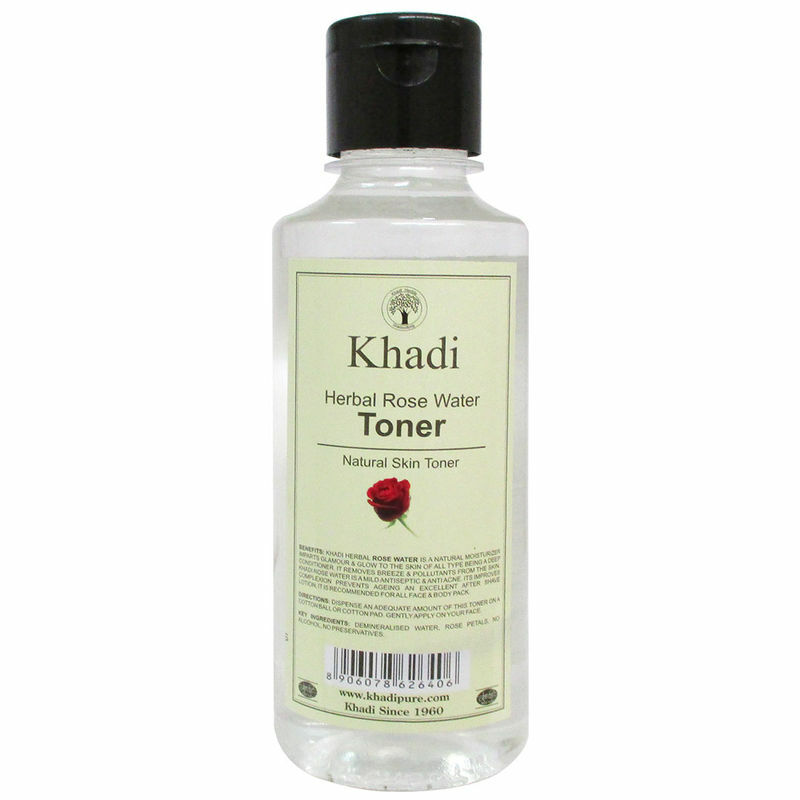 Khadi Pure Gramodyog Herbal Rose Water is a natural moisturizer imparts glamour & glow to the skin of all type being a deep conditioner. It removes breeze & pollutants from the skin. It improves complexion and prevents ageing. It is an excellent after shave lotion, it is recommended for all face & body pack. It is antiseptic and prevents acne.